Cooking, by the very nature of definition, is to apply heat or to prepare (food) by the use of heat. Therefore, in order to understand how to cook, I think it is important to understand a little about heat. Heat is, quite simply, a form of energy. If something is hot, transference of energy is taking place. 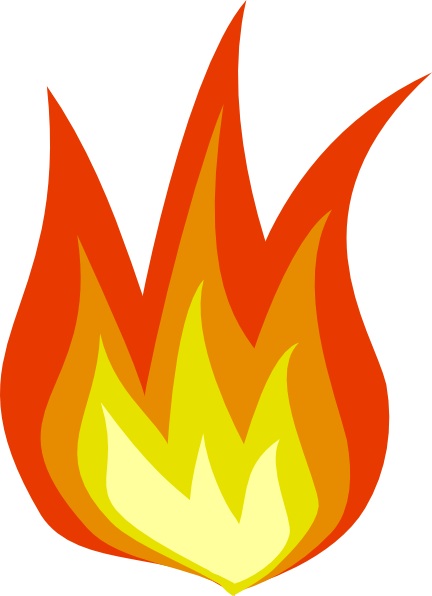 This energy can be transferred in many ways: through friction–as with rubbing two sticks together to start a fire; radiation–or heat traveling in waves that vibrate, penetrate, or bounce off of objects; through chemical reactions–such as what happens in the human body to maintain body temperature; and by combustion–as is the case with fire. Regardless of how the heat energy occurs, the heat always moves from areas of heat to areas of lesser heat. Don’t worry! I’m not going to delve too deeply into the laws of physics. I’m only trying to illustrate how heat works so that those principals can be applied to cooking. I’ll get there–stay with me! Let’s say, for the sake of argument that a certain housewife decides to venture out into the snow to sled and build snow forts with her sons. That woman is *ahem* old enough to know to dress appropriately for the cold weather with a heavy wool sweater and fleece jacket. Some things, such as wool or plastics, i.e. ; a wool sweater or a fleece jacket, are poor conductors of heat and instead can trap heat and serve as insulators. Since heat always moves from areas of heat to areas of lesser heat, wearing layers of heavy, yet poorly conductive clothing serves to insulate by trapping our own body heat in effort to maintain that warmth in a cold environment. The practice works well, to an extent. However just because something is a poor conductor of heat (e.g. ; the wool sweater) doesn’t mean that it doesn’t allow heat to pass through it at all. Given that our body heat also moves toward areas of lesser heat, after an hour or so in frigid temperatures, enough body heat has traveled through the wool sweater to cause a drop in body temperature, and the housewife becomes cold. Her sons, being seemingly impervious to the cold continued to bombard her with a barrage of snow balls. Now if this housewife were smart, she would come inside and plop her chilly body next to a roaring fire in the fireplace. In so doing, her body heat will eventually rise; so much so that after a prolonged period of time, she will ultimately become too warm and begin to release body heat in the form of perspiration. How/why does this happen? Well, the heat from the fire radiates from the hottest point toward the cooler areas around it, i.e. ; the area/objects surrounding the fire, or as in this case, the chilly housewife. The heat waves are carried via convection currents. The faster the convection currents carrying the heat travel to reach the areas of lesser heat, the sooner the cooler area/objects that come in contact with the heat will warm up. This warming occurs by a process called conduction; once the heat waves reach cooler objects via convection, they can penetrate and increase the warmth of those objects via conduction. So…when sitting by a fire on a cold day, the fire is radiating heat energy. That heat energy naturally wants to move to areas of less heat. Radiated heat moves in waves and can travel through empty space on its own accord. The radiated heat is further carried by convection currents that circulates the heat toward your cooler body, but it is the process of conduction (or penetration and absorption of the heat) that actually warms you up. The same ideas apply to cooking. Most cooking methods cook food through heat transference by various combinations of convection, conduction, and radiation. 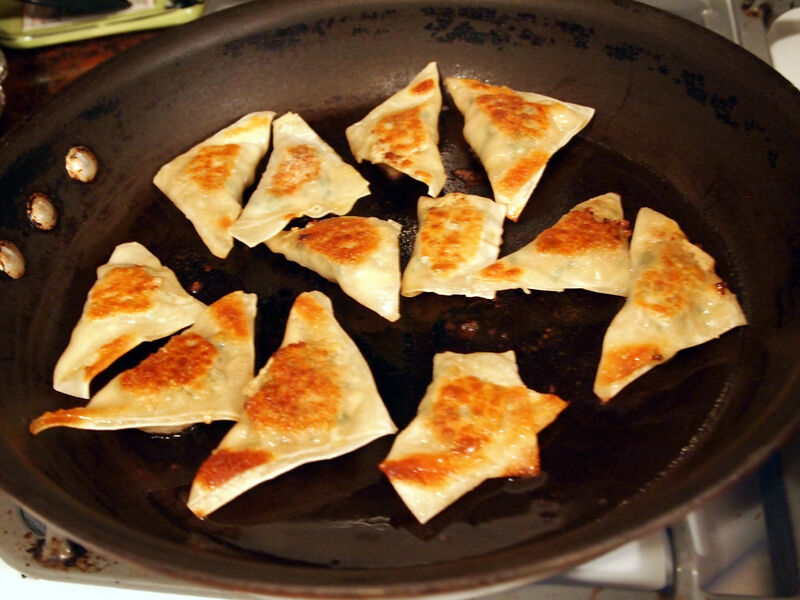 Simply put, cooking begins with a source of radiated heat which is further carried via convection currents to an object that conducts heat (such as a pan or baking sheet,) which in turn absorbs that heat and transfers it to an area of less heat (the food) via the conduction process, or a combination of both convection/conduction. 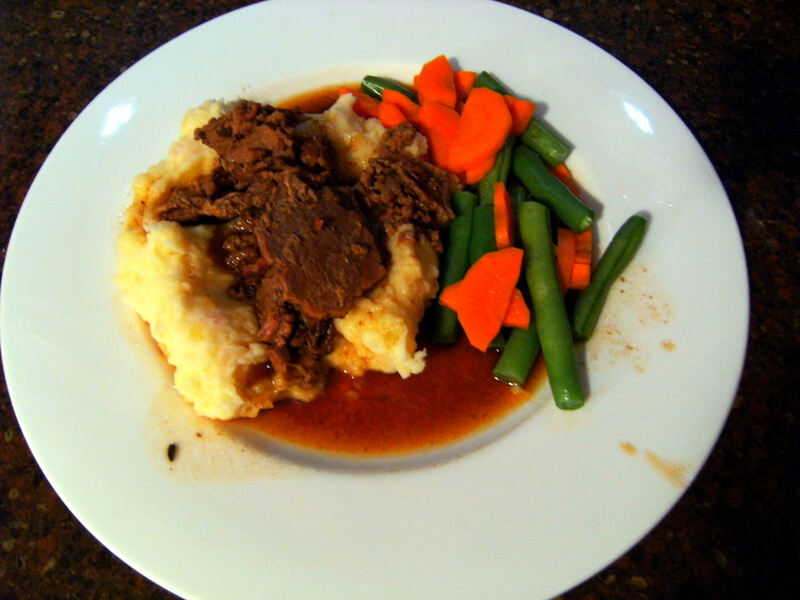 The medium that the heat first comes in contact with directly affects how the heat is transferred to cook the food. Baking/Roasting (in an oven:) Heat radiating from the walls of the oven works with air currents inside the oven to cook the food. Standard ovens rely on the natural convection currents of the air trapped inside the oven when the door is closed, and the fan that regulates oven temperature to aid in cooking the food. “Convection ovens” have additional fans installed that circulate the air inside the oven at a faster rate, and therefore cook/bake food in a shorter amount of time as compared to a standard oven. 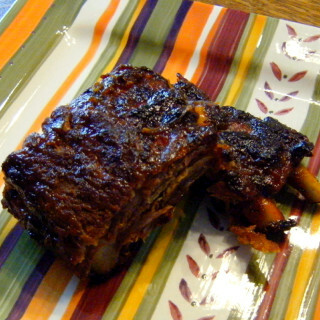 Broiling (in an oven:) Cooking is accomplished by heat that is radiated from the flame of the broiler. Searing/Sautéing (on a stove-top:) Cooks through the transference of heat through the conduction of heat from the pan through the food, with minimal liquids (sautéing) or no liquids at all (searing). Note: Not many cuts of meat can be completely cooked by searing without burning or ending up tough, which is precisely why some recipes will instruct you to sear a cut on meat on both sides before finishing it off in the oven. 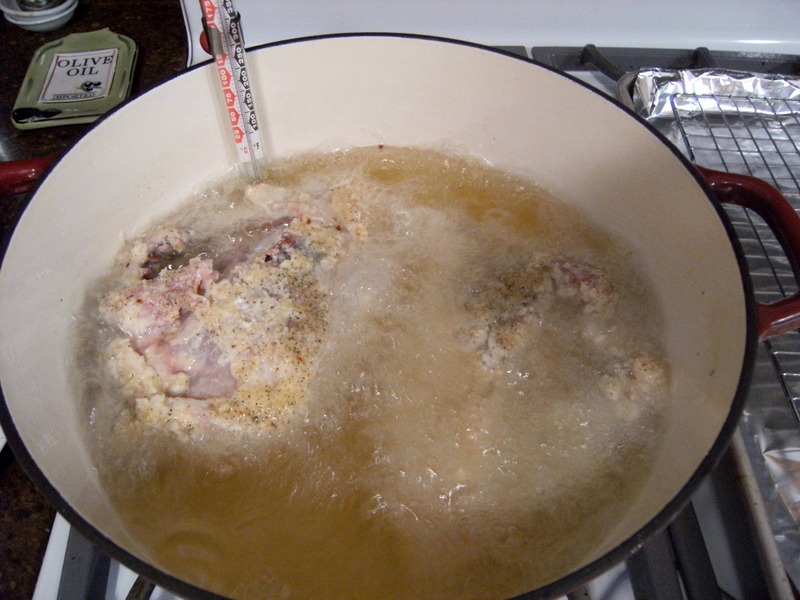 Frying, Steaming, Boiling, Simmering, and Poaching (on a stove-top): Heat is transferred to a liquid-filled vessel which cooks food by the convection of the liquid as it is heated and the conduction of heat from the liquid. 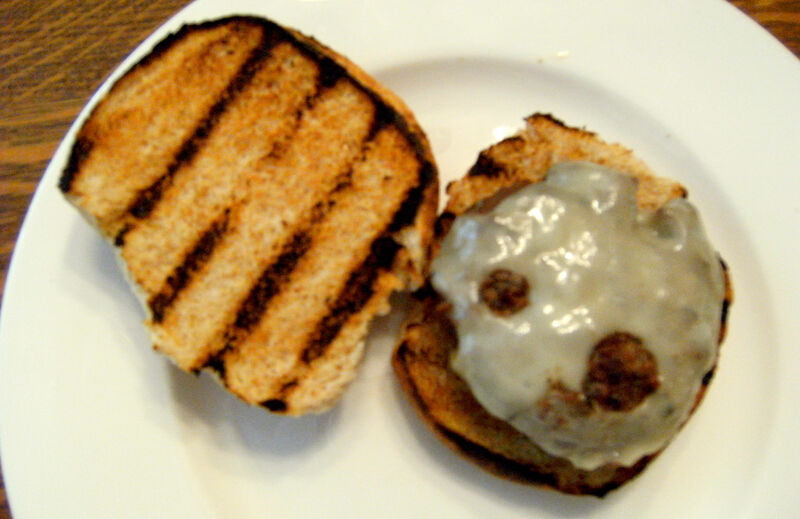 Grilling is an entirely more complex animal depending on method and warrants a post of its own. Now that we’ve tackled heat, let’s talk about the primary source of harnessing heat for the home cook: the oven. 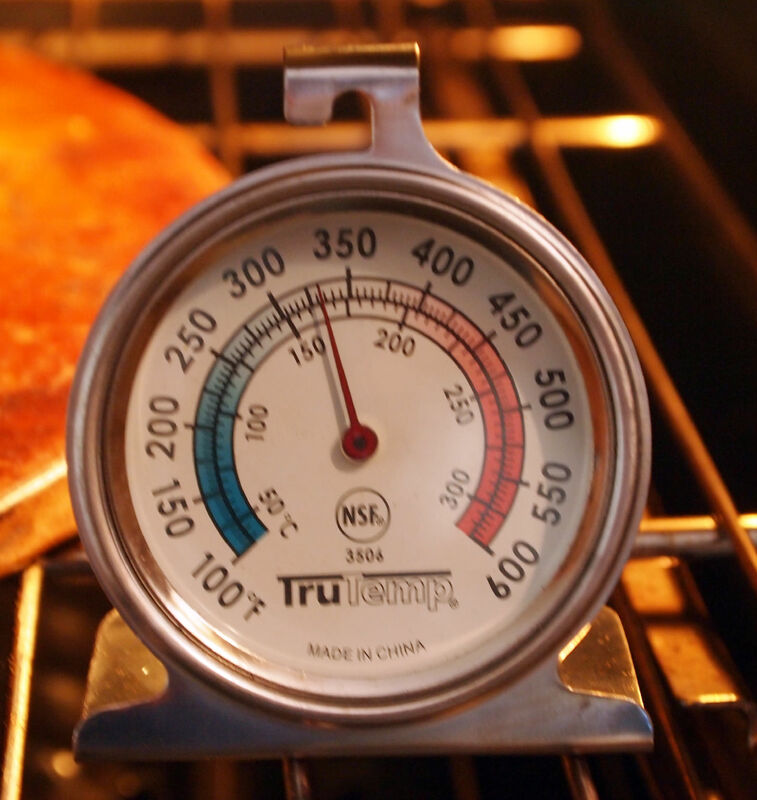 I hate to be the bearer of bad news, but no matter what type of oven you use, it’s probably not entirely accurate in monitoring temperature for heat. Simply put—ovens lie—not in a malicious way, but in an I-can’t-help-it-I-was-born-this-way. Ovens lie because by their very nature, they are not able to maintain accurate temperatures for a prolonged period of time—even “right out of the box”– without regular calibration. 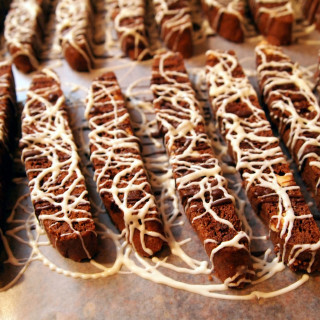 That creates kind of a tricky situation for writing and following recipes when you consider that everyone’s ovens cook differently due to temperature fluctuations. 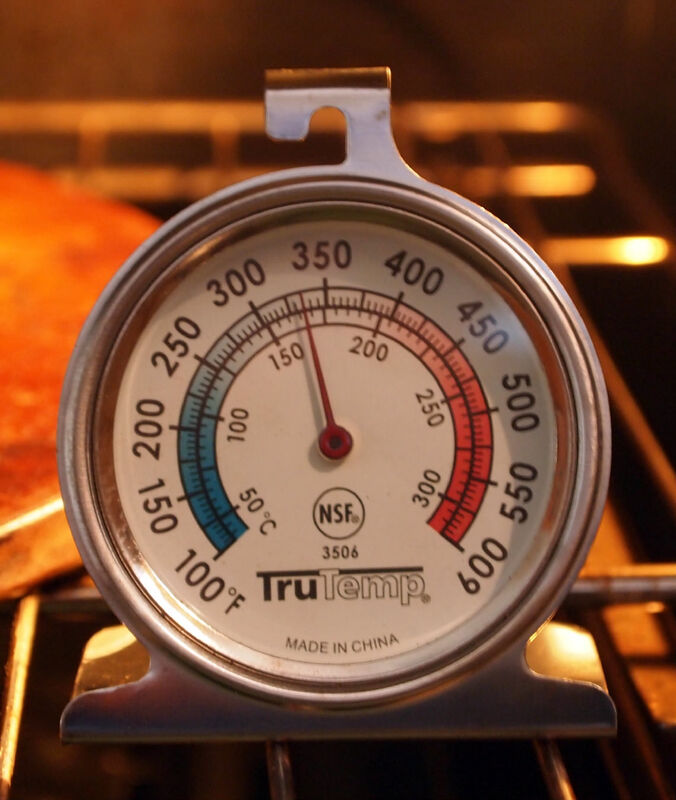 Assuming that the oven temperatures of recipe developers are entirely accurate, it also means that your cooking times will need to be adjusted depending on your oven, lest your food be over or under-cooked. I read somewhere that when your oven beeps or otherwise indicates that it has reached the desired temperature, it has likely not actually reached that temperature. Wait. What? What’s the point of the preheat beep if it is inaccurate? 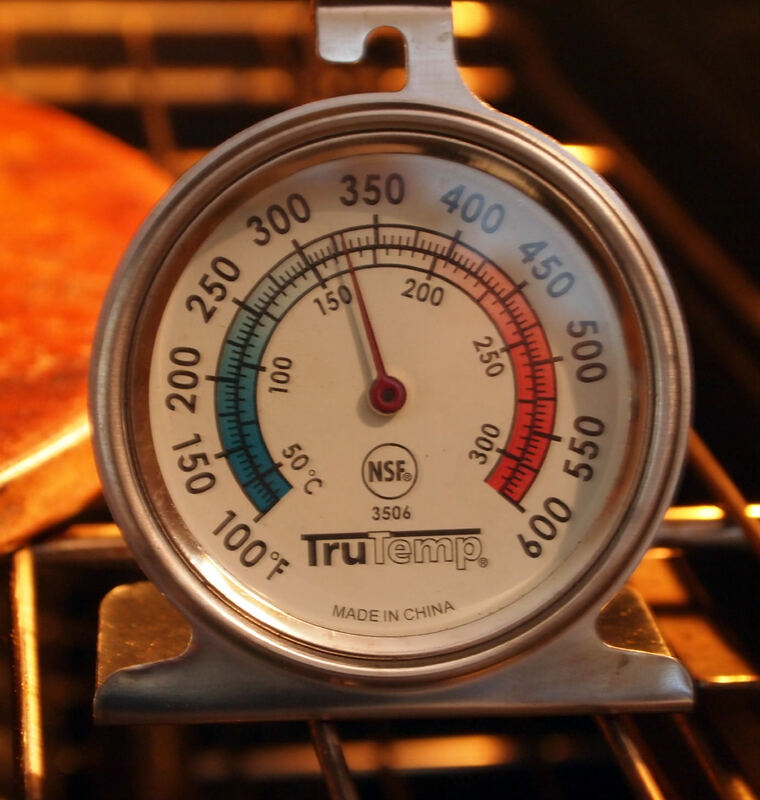 The only way to combat the deception imparted by your oven is with an accurate oven thermometer. 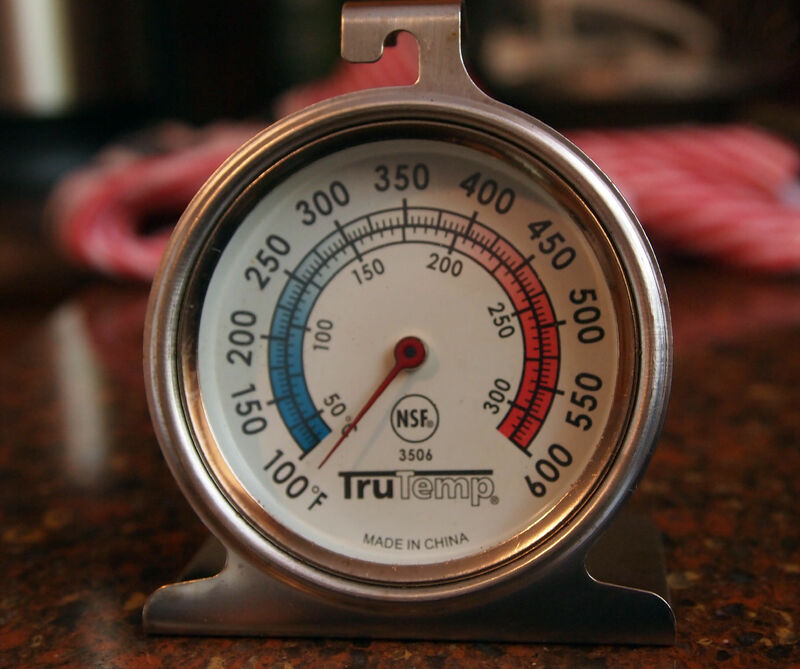 Oven thermometers come in many shapes and sizes and sell for a wide range of prices. Buy one. Install it. Live by it. I picked up this one at my local grocery store for $2.99. Not a bad investment considering I discovered something about my oven after installing it. After installing an oven thermometer, I conducted an experiment with my oven. I set the oven to preheat to 350° F. Once the handy preheat indicator beeped to tell me the oven was at the desired temperature, I opened the door to check my nifty new thermometer. At the very moment that my oven thought the heat was 350° F, it was actually only heated to 333° F.
That’s a difference of -12° F. Not bad, I thought. The oven hadn’t been used all day, so I decided to give it a few more minutes to warm up. 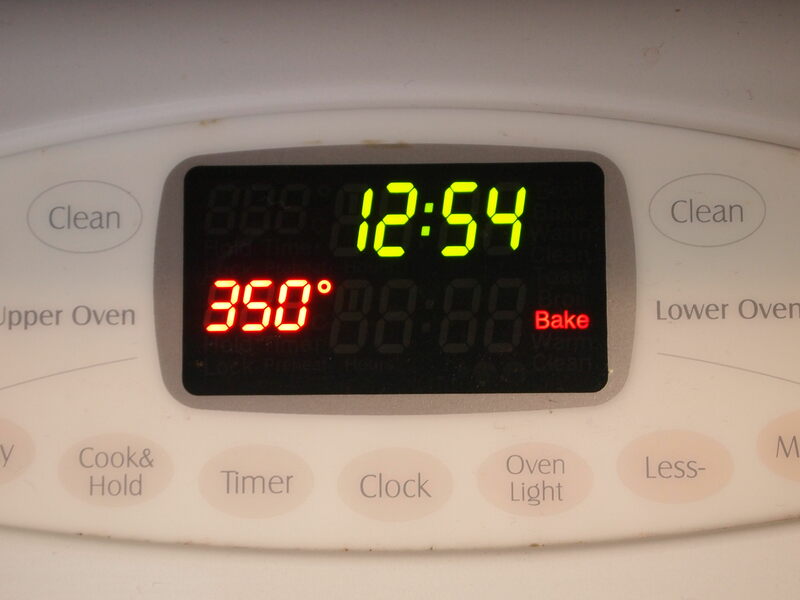 Ten minutes after the preheat indicator beeped, indicating an oven temperature of 350° F, it was still only 330°F inside. And it never deviated from that temperature. My oven believed it was at the desired heat of 350° F, setting off the temperature indicator to notify me. At that point, the oven fans were going full blast in order to get up to the proper temperature. The indicator goes off the moment that the temperature “peaks”. Once the oven is at temperature, the fans shut off, and the temperature “levels out”. The fans continue to circulate air periodically, in attempt to regulate and maintain the desired temperature. Bottom line: my oven lied to me but it didn’t know any better because it is in need of calibration. Which explains why my cooking/baking times tend to be a minute or two longer than called for in a recipe. Consequently, I always advise that you keep an eye your food to determine doneness. 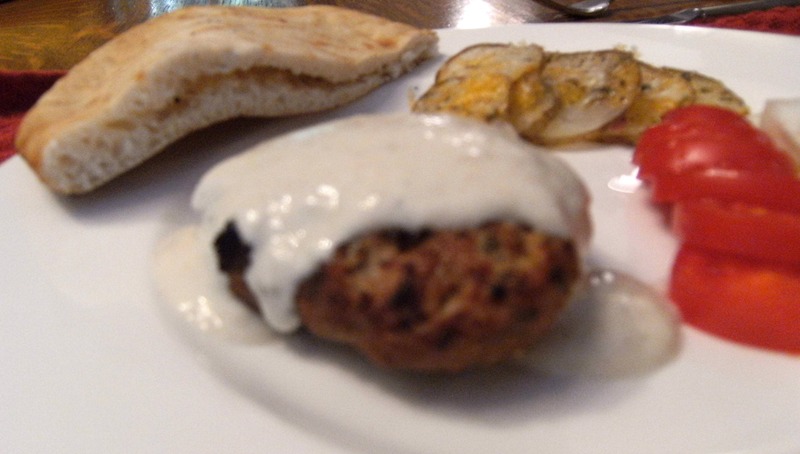 Adhering to the times outlined in a written recipe isn’t very reliable. 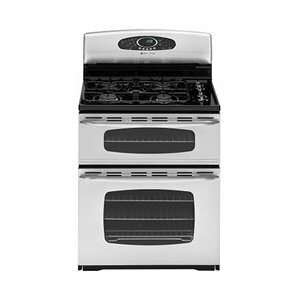 One Last Note: On the most basic level, ovens cook by bouncing heat off the oven walls/door. If your oven/oven door is dirty, it’s ability to perform that basic function is inhibited. Dirty oven = less efficient cooking. The science nerd in me loved loved loved this post! Great! Thanks for the feedback. I'm always wondering if I'm getting too technical, or not technical enough. I purchased one of those oven thermometers, too. They're so cheap, there's really no reason not to have one. What I discovered is that my oven is right on temp, but only if I wait about 15 minutes after the pre-heat beeper goes off. My problem is in broiling. My broiler is one single heat rod in the center of my oven, running from front to back. If I put something in to broil and leave it, I get one brown stripe through the middle of the food. I have to move the food from side to side to get it to brown evenly. Sounds easy enough, but not when it's a large pan and there's not enough room to move it right or left far enough. In those cases, I just break out the brulee torch. Great tutorial, Kirsten. On surviving playtime in the snow (although I may never be able to use this information), and on conducting heat while cooking. Can't wait to see what topic is up next! OH. I always thought my thermostat must get getting gunked up with smoke or something - and that was why it always worked better after I cleaned it. But your door/walls explanation makes more sense. It's not like I cook dinner to the point of ignition THAT often. Huh. Thanks for the lesson! Breads and cakes. My breads usually turn into dense doughy lumps. 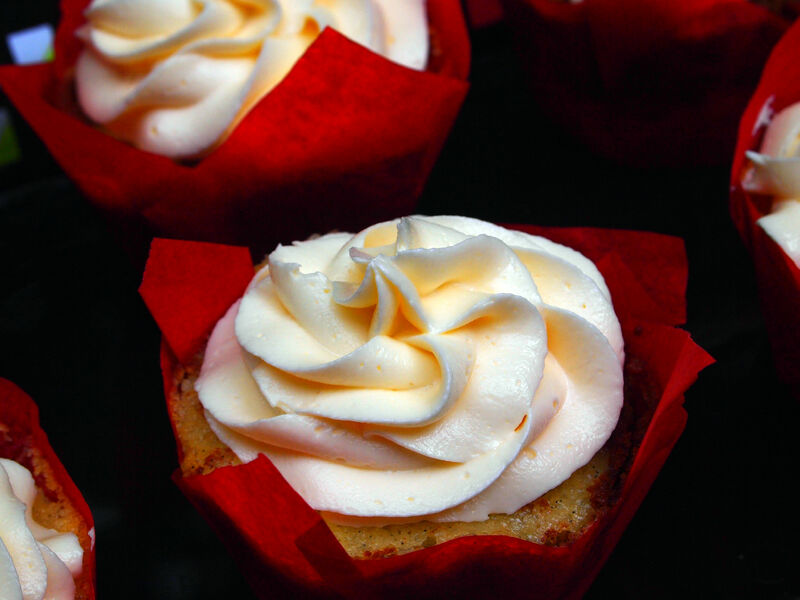 My cakes are hit and miss, but sometimes come out dry or coarse. Those are the main two. I'd love to hear what I'm doing wrong with my ingredients that causes that. I've got you covered, Sister!